Wrongly thought to contain wheat, buckwheat is a seed common in parts of Asia where it’s too mountainous to cultivate wheat. In Japan, soba noodles are traditionally made with buckwheat flour and the ones we use in our Spicy Soba Noodles are made from 100% buckwheat. 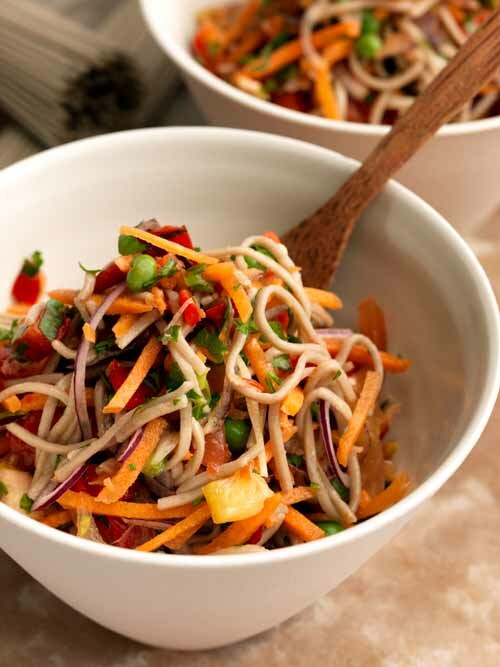 With hints of garlic and chilli, this is an exotic and delicious wheat-free noodle salad. 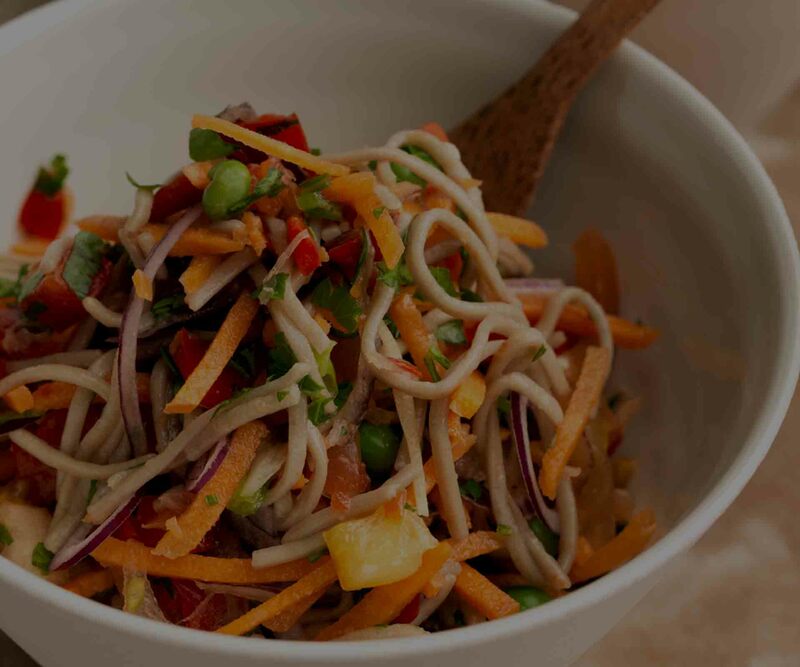 Organic soba noodles 30% (100% buckwheat flour), peppers, carrots, peas, tomatoes, salad onions, chillies, parsley, garlic, olive oil, organic lemon juice, sea salt, black pepper.